For rent in Palinuro one of the most touristic places of the region of Campania. The uncontaminated and natural endless sandy beaches with numerous coves are a guarantee for relaxing beach holidays. The world-famous natural sea caves can be reached by boat and a popular destination. 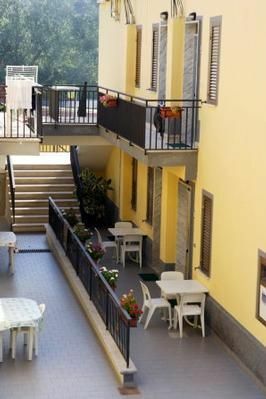 Our apartments are only 800m from the bustling center of Palinuro and about 400m from the nearest supermarket. The public sandy beaches are 400m away from the apartments. All our apartments have 2 large bedrooms, a fully equipped kitchen with KS, hotplates oven etc. with dining area, bathroom with shower, toilet washing machine, living area with TV-Sat connection. General green areas in the outdoor area invite you to barbecue. - Electricity: included per object per week.